Free admission, but registration is required and seating is limited. Book your tickets here. Repertoires are common repositories or indexes of knowledge. They are cultural storehouses of ideas that are personalised momentarily in individual expressions, while remaining radically outside the control and ownership of sole artists or corporations. While the ‘set-list’ is a temporal and historical marker of specificity (this performance at that time and place), a repertoire is a trans-historical collection of cultural artefacts that implies associative and non-chronological ways of arranging material. And while repertoire is often made explicit in musical and theatrical practices, it is usually a ghost term in poetry – obscured partly by publication and reading environments that stress continual newness, and partly by ontological horizons that still prize single authorship and ‘unique’ narratives. In her critical talk, Kate will examine ideas of repertoire as a way of understanding compositional methods within the book Saga/Circus by U.S. poet Lyn Hejinian, before applying that thinking to two core elements of her own poetic practice: her adaptation of sample-based cento forms, and her ongoing interest in archival, documentary and list-based poetries. The talk will be followed by a performance of poetry from Kate’s recent book First Light and from a new series of works called ‘Archivalist’. In German sexologist Havelock Ellis’ 1897 book Sexual Inversion, he connects ‘famous inverts’ as a way to argue against a homophobic context that would see individuals as anomalous. The naming of others ‘like him’, is also a tactic made famous by Oscar Wilde, in the list of illustrious homosexuals that he offers at his trial in 1895. Christopher Nealon (2001) describes these as examples of the longstanding practice of ‘queer lists’, which also flourish in the more recent past in examples such as The Gay Book of Lists (Leigh Rutledge, 1987) and Lesbian Lists (Dell Richards, 1990). These lists are a strategy and tactic for combatting a homophobic context that would see individuals as alone in their desires. Lists are thus ways of connecting, of building an argument for community, history, and presence. Lists and listing have also been identified as a rhetorical strategy of queer theory – Eve Kosofsky Sedgwick’s penchant for lists is a particularly notable example. On queer theory’s lists, Janet Halley argues, they ‘emphasize not repetition, homology, analogy, and sameness, but variety, incommensurability, and endless difference’ (2006: 200). In queer theory’s listing, the promise of the queer list is no less than the explosion of taxonomy. This talk will explore these two seemingly opposite functions of queer lists – the creation of similarity and the proliferation of difference – and experiment with another approach, one that eschews lists as ‘functional’ or as useful because of their presumed function. Lists are central to Sedgwick’s attempts to inaugurate a more ‘loving’ approach to one’s objects of study. In her work on affect, she asks after what it means to fall in love with a writer and admits her love of Silvan Tomkins. Specifically though, she loves his practice of listing. Returning to this scene of love in Sedgwick, and love as bound to lists, this talk will experiment with the links between queer lists and love – queer lists as joyful and loving practice. Kate Fagan is an Australian poet, editor and scholar whose third book First Light (Giramondo Publishing) was short-listed for both the NSW Premier’s Literary Awards and the Age Book of the Year Award. She is the founding director of the Poetry & Poetics Project at Western Sydney University and a former editor-in-chief of How2, the U.S.-based journal of women’s contemporary poetry and poetics. Kate is also well known across Australia and the U.K. as a folk-roots musician and songwriter. Her album Diamond Wheel won the National Film and Sound Archive Award for Folk Recording, and she supported Joan Baez on her 2013 tour of Australia and New Zealand. Sam McBean is Senior Lecturer in Gender, Sexuality, and Contemporary Culture at Queen Mary University of London. She is the author of Feminism’s Queer Temporalities (Routledge, 2016) and has published on contemporary literature and culture, new media and affect, and queer and feminist theory in journals including Feminist Review, Camera Obscura, and new formations. 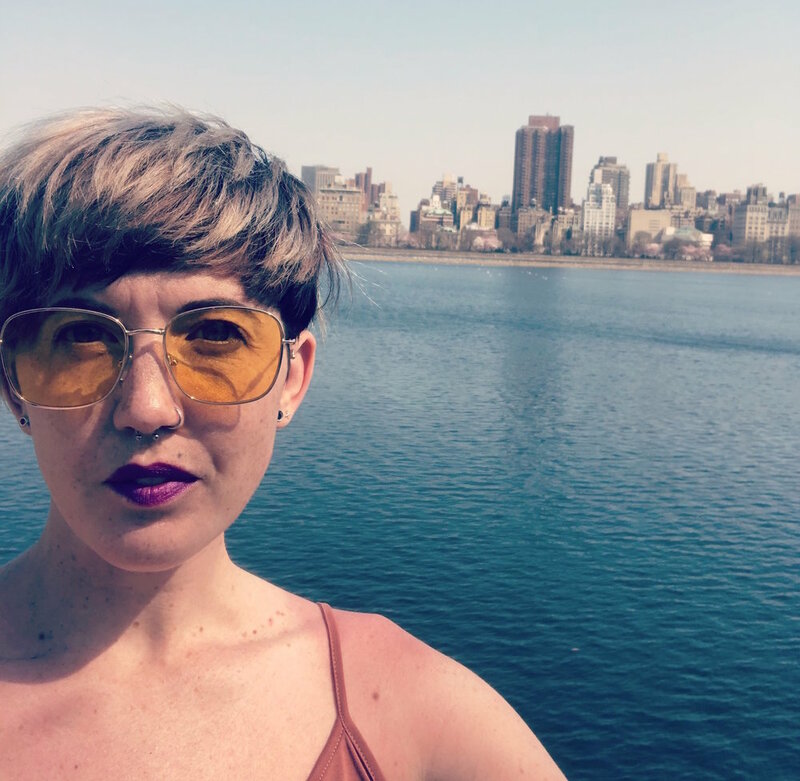 She is currently working on a project looking at diagrams, maps, and network imaginaries within gay, lesbian, and queer theory and contemporary queer cultural objects.